I haven’t written about our dogs for a while. GoodDobie and BadLab love that Spring is here, and regular walks have returned. We went for a long walk last week, and I wore them out. Too ambitious, too fast. 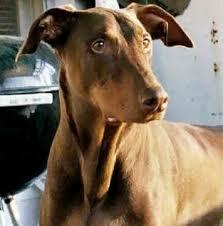 BadLab will be nine in November, and GoodDobie is between 10 and 12 years old. GoodDobie is from a rescue group, so we don’t know his exact age. Part of it is arthritis, and we’ve started him on glucosumine and chondroiten. The vet said the drinking/peeing could be related to the arthritis. (I didn’t quite understand that, but really wasn’t paying attention after we discussed the lump.) The big thing is the sudden lump. He has antibiotics for the next week, and Tuesday he goes for blood tests, X-rays, and hopefully a pulled tooth under anesthesia. The vet is concerned the tooth isn’t abscessed since it doesn’t hurt, smell, seep, or anything. Whatever happens, we know he is happy with us, and we’re thrilled we adopted him. He isn’t in pain, just a bit embarassed about peeing like a girl. It will be tough to leave him at the vet’s, we don’t want him to think we’re dumping him off like his previous owners, and BadLab will go nuts without his buddy even for a few hours. We can sit and wait in the parking lot.